Tonight's Darkstream delved into the history of GamerGate, the weaponization of the meme and why memes are particularly effective in defanging the media's institutional high ground. 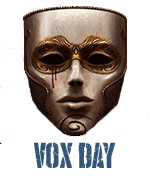 Vox Day's explosive new book... "The Art of the MEME"
Vox I never knew you were that much of a revolutionary. It's your posterity side Vox-mate! It will be interesting to see how a meme war progresses against a legal fiction person like the corporation CNN versus a cabal of like minded actual persons, as in gamergate. If successful, it will strike fear into the hearts of fictional person coporations and even fictional state corporations world wide. It has the odor of spiritual warfare attached. It will definately be a horrible lesson for big Corps. Lazarus, I agree with your "spiritual warfare" reference. We should also remember that memes have been bringing down the powerful even before they 'did for' Marie Antoinette. Now that we can reasonable expect a "Gamers are Dead" response I'm really looking forward to the endless hours of television coverage about "Trolls are Bad." Endless screeching about how Trump has created an army of gay Nazi frog zombie trolls that lurk on the interwebz and do his bidding. Memetic conflict is not new. Pamphlets with cartoons have played a role in history multiple times over the last 400+ years. Propaganda images played a huge role in the 1914 war. Here is a meme from 1775, Gadsden's flag. Ben Franklin's "Join or Die" cartoon? Another meme. Will you be addressing current events in SJWADD? In many ways, it's an even better backdrop to the book than GG was for SJWAL. Media, and the massive distrust of it, is potentially a far bigger audience than gaming, gamers, and game journalism. What's the word on the book? I don't remember much beyond an expected March launch and then a delay. Is the release firm yet? I'm descended from an American Revolutionary on my father's side and a Mexican Revolutionary on my mother's side. És La Posteridad también en el lado Mejicano! Viva La Revolución! Derecha Alternativa! Diciestes ducientas vezes sobre su abuelo pero ... I forgot! A Deplorable Paradigm Is More Than Twenty Cents wrote:Memetic conflict is not new. True, but the internet makes it move at warp speed. A swarm of drones delivering the message instead of the Pony Express. Cake news is fake news. Dr. Seuss was a propagandist, so much so my mother banned his books from our house. Half OT: on rhetoric, dialectic, and climate change? At the same time, political scientist Brendan Nyhan conducted fascinating and depressing research on what he called the "backfire effect". Although this research isn't conclusive (http://www.poynter.org/2016/fact-checking-doesnt-backfire-new-study-suggests/436983/), he showed that using facts to try to reverse strongly held political views – such as on climate change, vaccination, gun control – was worse than useless, generally ending up emphasising existing views rather than altering them. He also showed that these tribally-based political views trumped (and I use that word advisedly) our ability to do maths. We can read graphs really well. Except when they contradict our political views. Nyhan showed a clear tendency for people with high numeracy skills to misread graphs about gun control or climate change, even when they'd just correctly read the same graph about soap. " (Of course the article is: "the world is burning, the world is burning"! Musk is building a big battery which will end all problems -- except they carefully do NOT say how this big battery will get CHARGED! I suppose they think renewables... but not so far? And WHERE do all the rare earths come from to MAKE his huge battery!? A new paper (https://papers.ssrn.com/sol3/papers.cfm?abstract_id=2819073), however, suggests the "backfire effect" may be a very rare phenomenon. The study, presented at the annual meeting of the American Political Science Association this summer, was conducted by Ethan Porter (https://smpa.gwu.edu/ethan-porter) at George Washington University and Thomas Wood (https://polisci.osu.edu/people/wood.1080) at Ohio State University. 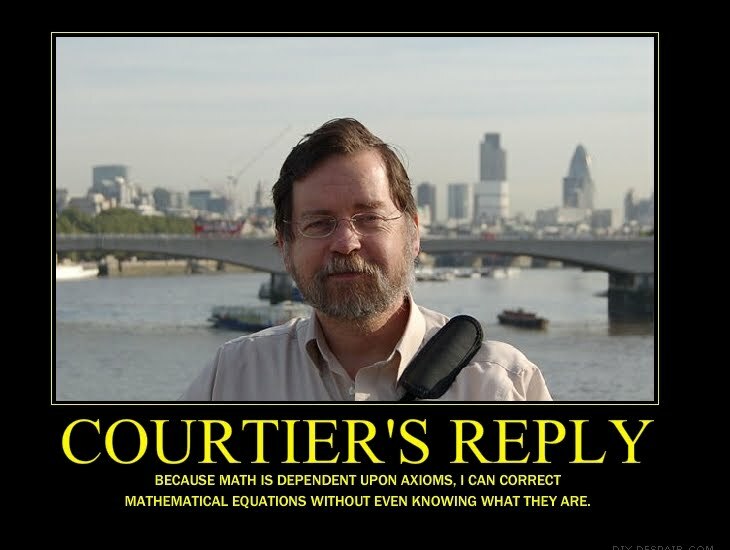 Porter: ... Originally, when Tom and I designed this study, we anticipated identifying backfire effects across the political and ideological spectrum. We thought we would see which issues would prompt liberals to backfire and which issues prompted conservatives to backfire. But as time went by and we conducted study after study, we found that no one was exhibiting backfire across any issue. Wood: ... But we have definitely not found any consistent evidence of factual backfire despite months of work on thousands of subjects. By and large, folks across the political spectrum were happy to move, at least some of the way, consistently with a factual intervention. (Still Wood:) And we went to incredible lengths to find backfire. We were doing these experiments in the height of the presidential primaries and the middle of the debates. We were taking the most controversial people and the most controversial statements. We tested allusive statements, thinking that the easiest way to trigger backfire was to correct a co-ideologue for an allusion rather than a literal statement. The fact that their pattern remains the same speaks to the elusiveness of the backfire effect. Worth the read, esp. held against The Guardian article! After he goes on about thes effect, he says this "Renewable energy, which obviously wins on emissions, is now beating coal on cost. What’s more, with an energy grid managed effectively by people who want renewables to succeed, it is no less reliable than fossil fuels." The only possible way that statement can be true is by lumping in hydro with faddish "green" sources like solar and wind. And I will guarantee that nobody on our side of the climate debate is against hydro power. He's exhibiting the same effect he's lambasting conservatives for, while not demonstrating that they are exhibiting it. Dunning-Kreuger effect comes to mind.